Something that was long criticized for being undersized as compared to TV and desktop ads, Mobile advertising will hit $41.9 billion in 2017 as per a recent report generated by Gartner. If you take a look, you will find that $196.5 billion were spent on TV advertising while the $110 billion were spent on print in 2013 and that the expected mobile ad spending is a far cry from that of TV and print. But then it is anyway it’s larger than the $32.5 billion that was spent on radio advertising in 2013, radio advertising being a category that is not growing and kind of contracting. “From 2015 to 2017, growth will be fueled by improved market conditions, such as provider consolidation, measurement standardization and new targeting technologies, along with a sustained interest in the mobile medium from advertisers,” Stephanie Baghdassarian, research director at Gartner, said in a statement. 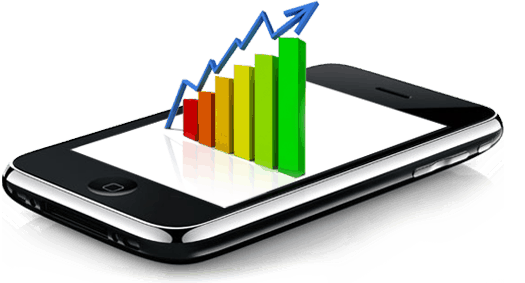 For 2014, Gartner estimates mobile ad spending will hit $18 billion, a 37% jump over the estimated $13.1 billion spent on the category in 2013. Gartner’s estimates are almost similar to that of eMarketer and Starcom MediaVest, as even they predicted almost the same value as far as the mobile ad spending s concerned. According to them, the global mobile ad spending had to hit $15.8 billion in 2013.